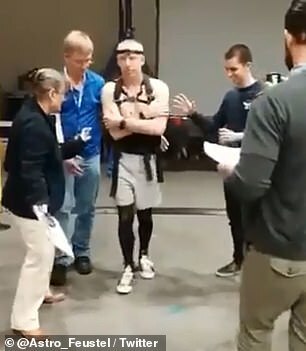 A NASA astronaut shows what it was like for him to get his legs under him on the ground after spending 197 days in space defying gravity. 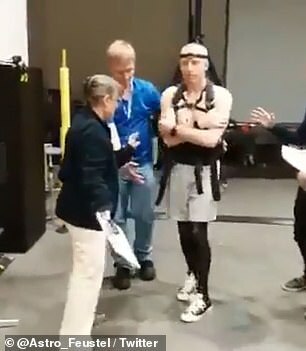 In a video posted to Twitter, A.J. 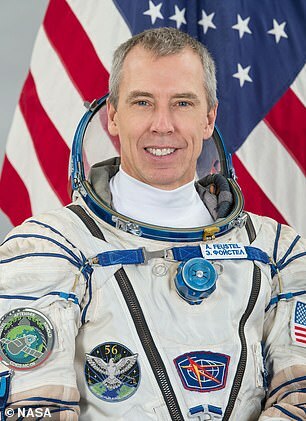 ‘Drew’ Feustel, 53, welcomed back the crew of the recently returned Soyuz MS-09 that had just spent six months at his former place of residence, the International Space Station (ISS). 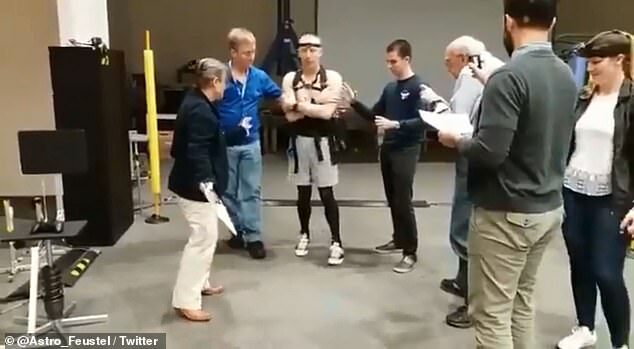 Feustel can be seen wearing a harness with two men on either side holding out their hands to prevent him from falling in the video. Arms crossed, he takes three somewhat steady steps before his stepping foot occasionally drifts to the side as he moves forward. 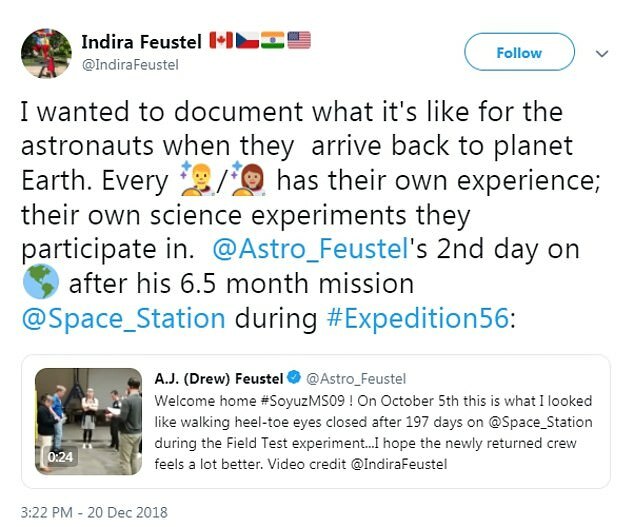 ‘I wanted to document what it’s like for the astronauts when they arrive back to planet Earth,’ Indira Feustel, wife of Drew Feustel, tweeted explaining the footage she took on her own Twitter account. According to Indira, this was only her husband’s second day back from his six-and-a-half month mission to the ISS. He had been the commander of the ISS Expeditions 55 and 56 returning from orbit just this past fall. The three-member crew of Soyuz MS-09 that Feustel wished well, ISS Expedition 57, landed in Kazakhstan on Thursday. They had circled the globe 3,152 times, covering 83.3 million miles in their own 197 days in orbit. 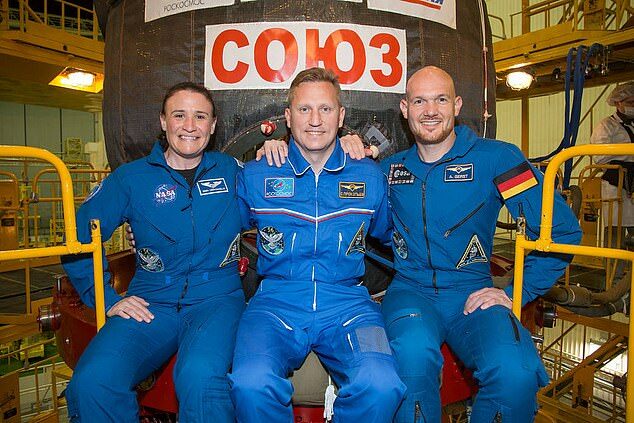 NASA astronaut Serena Auñón-Chancellor, Expedition Commander Alexander Gerst of the European Space Agency and Soyuz commander Sergey Prokopyev of Roscosmos State Corporation for Space Activities of Russia all returned safely after a dramatic repair to a leak in the Soyuz spacecraft itself. 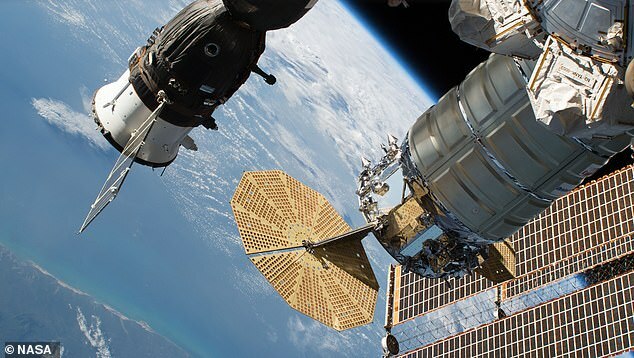 The Russian Soyuz MS-09 crew craft and the Northrop Grumman (formerly Orbital ATK) Cygnus space freighter are seen attached to the International Space Station with the orbital complex’s basketball court-sized solar arrays in the lower right background. The eastern coast of Brazil is pictured in the lower left corner of the frame.